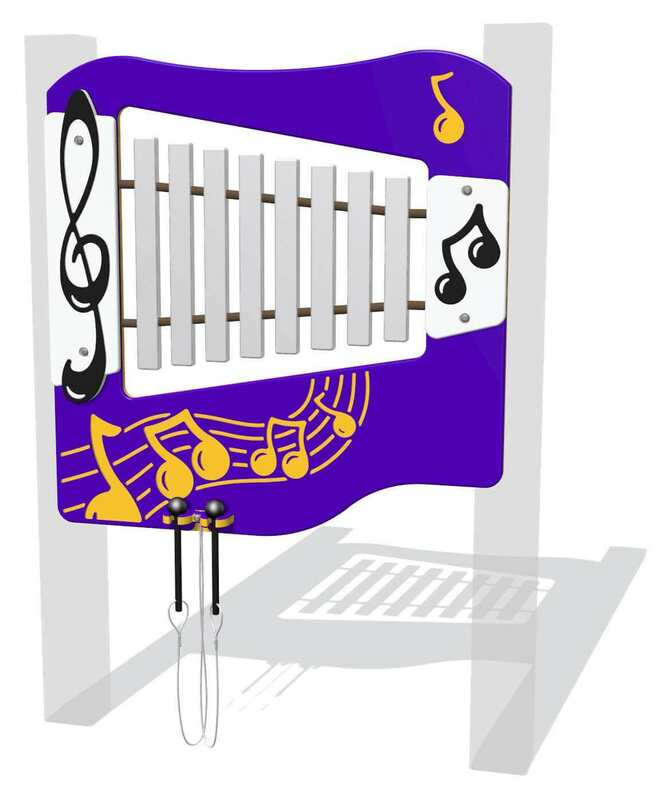 A durable chime panel, the Glockenspiel Music panel is made of 8 musically tuned aluminum chimes, two beaters attached with stainless steel cord and a HDPE panel frame in your choice of color combinations. Designed for use in controlled environments. Adding musical play components to your playground will enhance children’s fine motor skills while promoting social interaction through music and sound.